This is a no bake recipe for Coconut Date Squares made with just three ingredients. Not only are these easy to make but they are super healthy as well. Perfect for the lunchbox or an afternoon treat! Your kids will love these as too! Blend the dates, almonds and coconut in a food processor until a paste is formed. Roll heaping tablespoonfuls of the paste in the dried coconut and form into 1 to 2 inch cubes. Top with a slivered almond! Note: If you find that the mixture is not coming together as you would like and seems too dry, add a small amount (1 to 2 teaspoons) of water and then continue to process in the food processor. Thank you Michal for visiting my site! 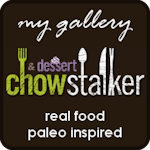 Please take the time to check out some of my other healthy, easy, gluten, soy, dairy and sometimes grain free recipes! I just used up my organic dates, but I am so enchanted by your yummy recipe that I will have to get more dates the next time I shop. 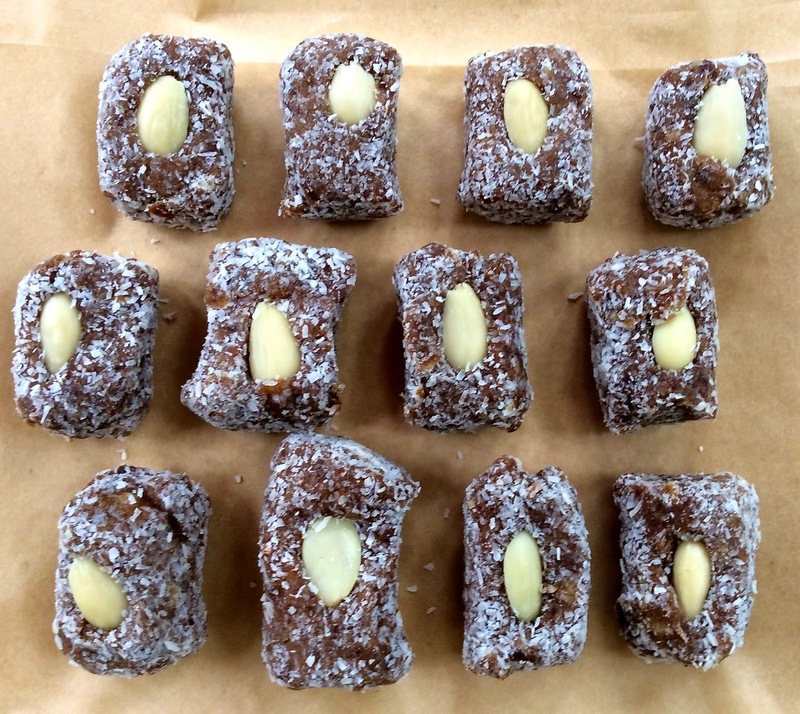 I can't wait to make these delightful coconut date squares. They seem so easy to make and that's a plus! I am following you on Bloglovin to keep up with your recipes. This is such an easy recipe which I know is so delicious and healthy. Thank you for sharing it with Foodie Friends Friday's 100th Party Celebration this week. 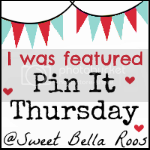 I've pinned/shared. What a fantastic recipe! I love how easy and healthy this is! Pinned!! 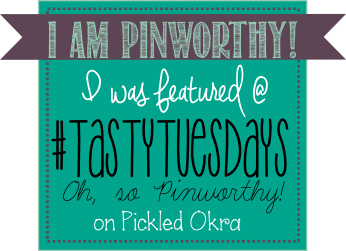 Thanks so much for sharing this awesome recipe with Full Plate Thursday! These sound delicious! Thanks for sharing them at Savoring Saturdays!